At the spot where Lima River meets the Atlantic Ocean, there Viana do Castelo, charming historic city, has settled in. This jewel of the Costa Verde, is rich with both wonderful medieval centre and lovely beaches just outside the city. You will be charmed with numerous old quarters, 19th-century boulevards and rococo palaces hidden in the narrow streets of Viana do Castelo. The most famous spot of the city is it’s Monte de Santa Luiza, 228m hill with it’s breathtaking view down the coast and up the Lima valley and neo-Byzantine Temple of the Sacred Heart of Jesus. Explore the beauties of this monument and discover the Ruins of The Old City, remains of a fortified village from the 4th century BC. Enjoy reaching this spot by taking the longest elevator in Portugal, operating since 1923. 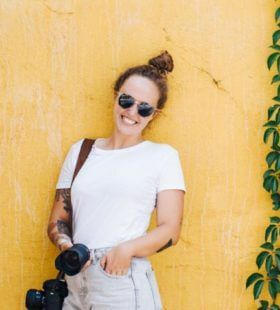 Whether you choose to stroll down the old town, climb the Monte or spend the whole day at Praia de Cabedelo, a huge, untouched wavy bay with golden sands, all these memories will be captured forever by your local professional photographer in Viana do Castelo.